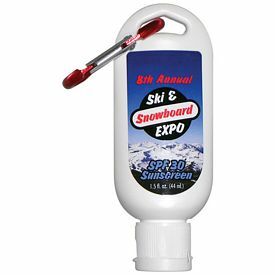 You can get customized sun screen, lotion, sun block, and a variety of gels that will be perfect for your cosmetic company. 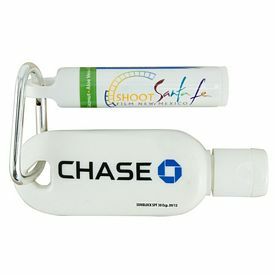 The shape of the promotional bottle and the imprinted design on the bottle play a major role in attracting customers. 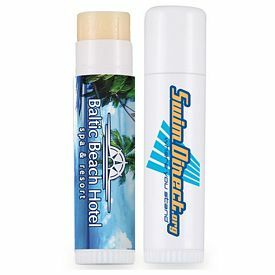 A custom sun care product that looks aesthetically pleasing can be successful in drawing customers. 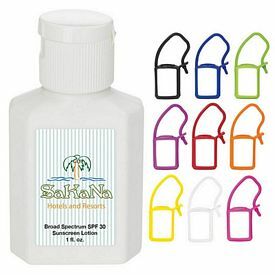 Your cosmetic company will need to cater a variety of customers so you must have at least three to four kinds of promotional sun screen bottles. 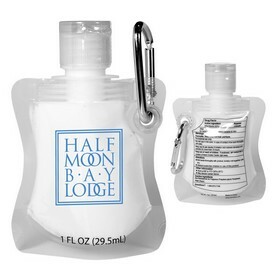 If the branded lotion bottle looks dull and drab then you can be sure that only a handful of customers may get the urge to buy it. 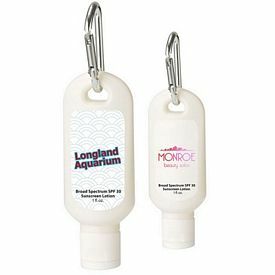 We will complete the look of the promotional sun screen bottles by providing a wonderful designer imprint on the customized bottle and attaching a company logo. 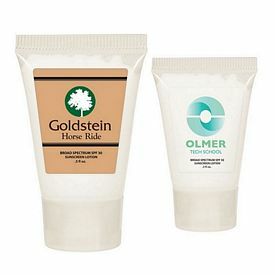 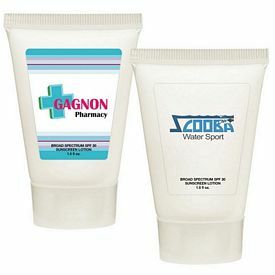 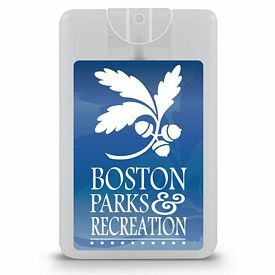 A promotional 1oz sunscreen bottle can be modeled with a free artwork imprint. 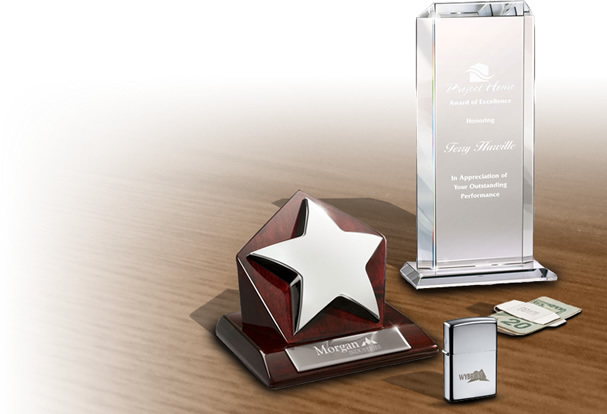 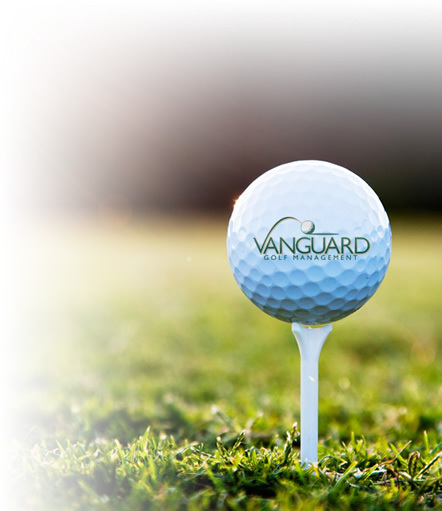 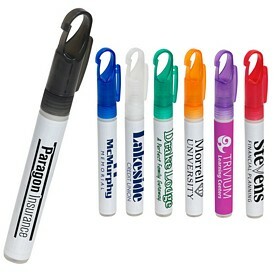 Your company logo will be placed on it without charging any setup fees. 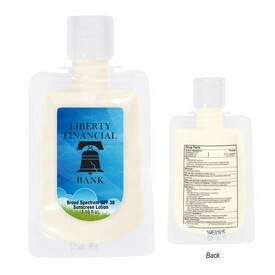 You can also select a 1.5 oz. 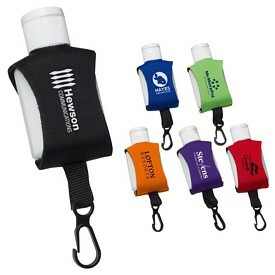 customized sun screen with carabiner. 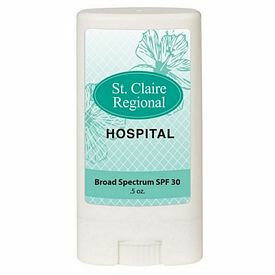 There is a special 1.5 oz. 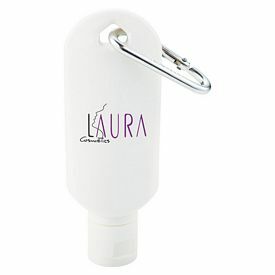 custom Aloe gel with carabiner which is typically used for branded hand sanitizer bottles. 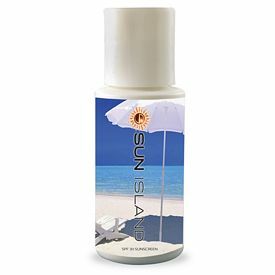 You can select promo bottles based on a particular type of SPF. 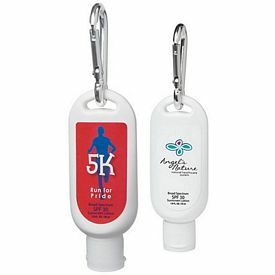 Promotional SPF 15 sunscreen bottles are available in 1 oz and 2 oz variations. 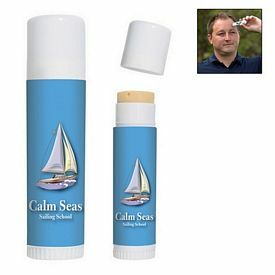 Nowadays, custom pen sunscreen sprayers are quite popular. 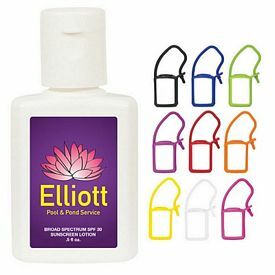 They are easy to use and can be easily carried in a handbag or pouch. 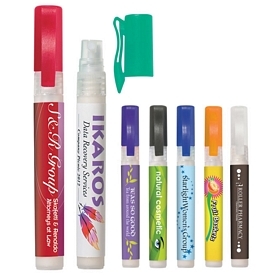 Consumers will be easily fascinated by the promotional sprayers and you will hit a jackpot. 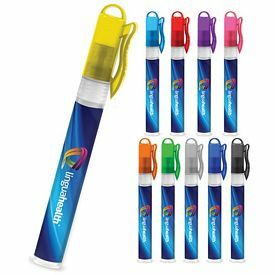 Promote your brand using these customized SPF 30 pen sunscreen sprayers that will prove the worth of your cosmetic products. 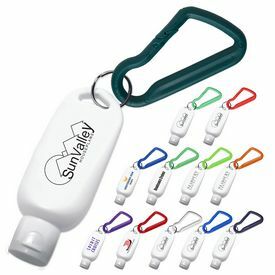 We also provide promo sun block tottle bottles. 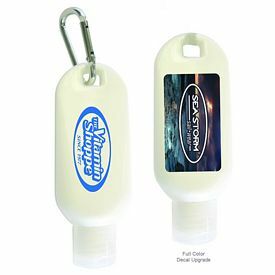 Whether you choose 1oz or 2oz we will make the logoed tottle bottle look amazing with screen print or full color decal decoration. 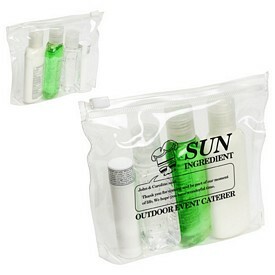 It is mainly used for the SPF 30 custom sunscreen bottles. 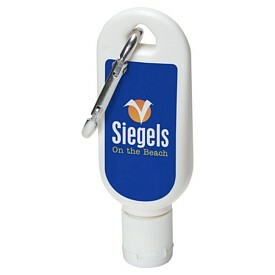 The customized Pen sunblock sprays look classy. 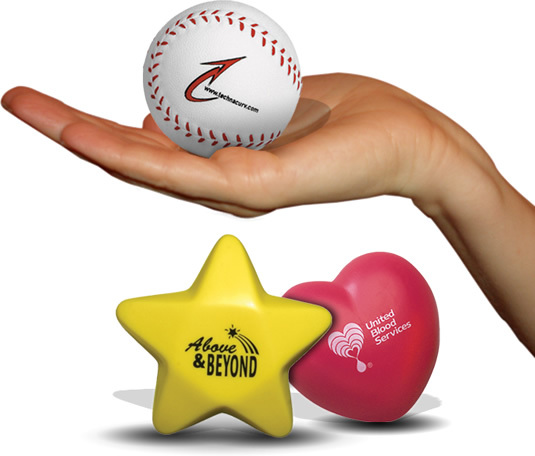 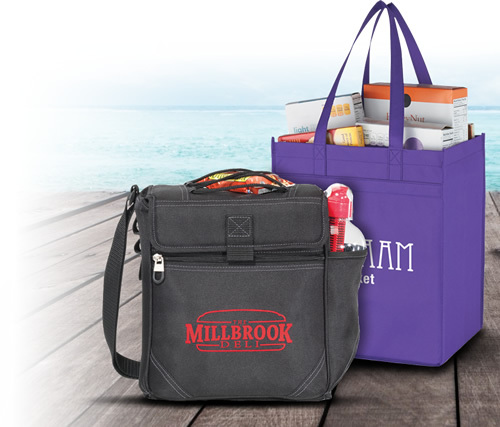 A full color digital printing will allure customers for sure. 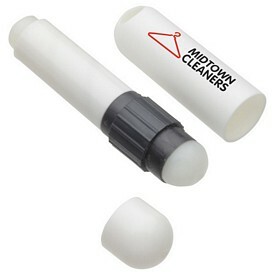 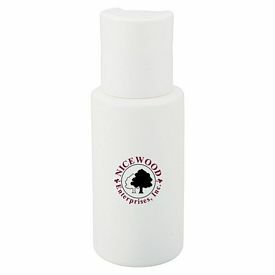 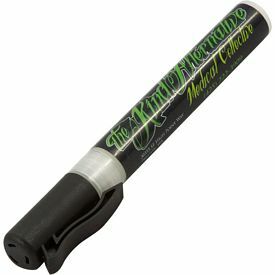 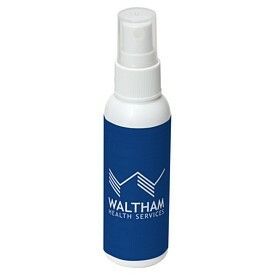 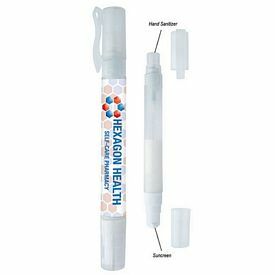 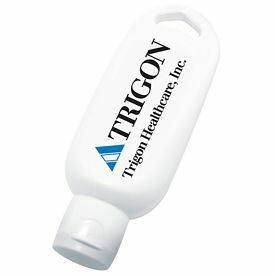 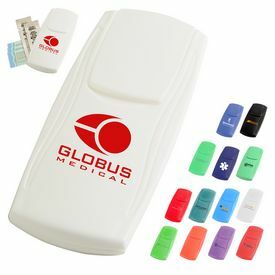 You will get these promotional spray bottles in various sizes. 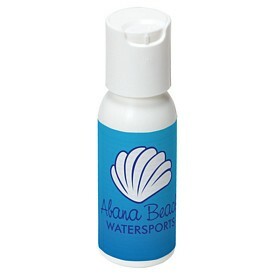 These custom spray bottles are exclusively used for SPF 30. 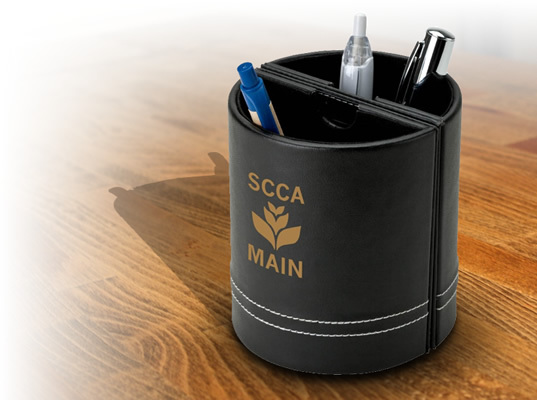 If you want to mention your company slogan along with company name and logo, then we will do it with pleasure at no additional cost. 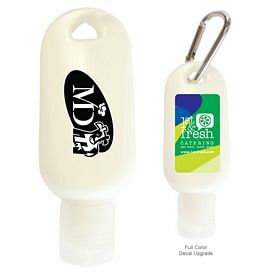 Go for logoed 1-1/2 oz bottles of promotional California Sunscreen that are of SPF 30. 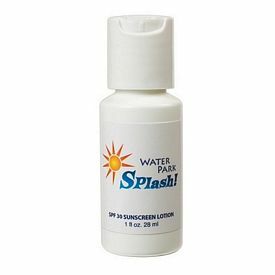 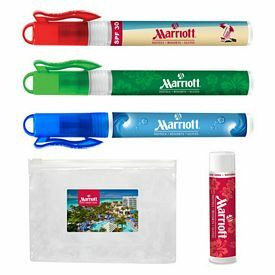 If you utilize the 1-1/2 oz SPF 30 Sunscreen with lanyard for the promotion of your personal care products then it will guarantee the success of this new product. 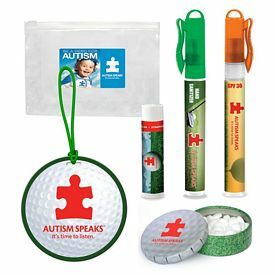 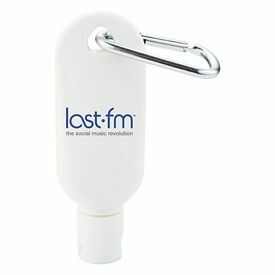 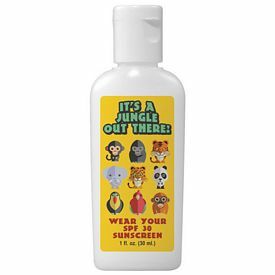 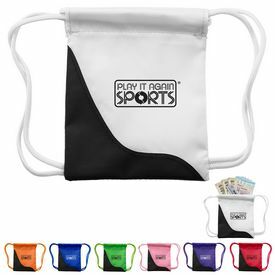 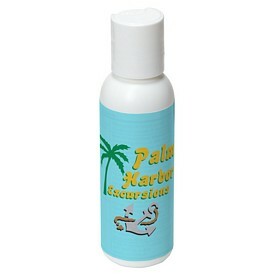 We also have a customized 1-1/2 oz SPF 30 sunscreen with carabiner for your promotional needs. 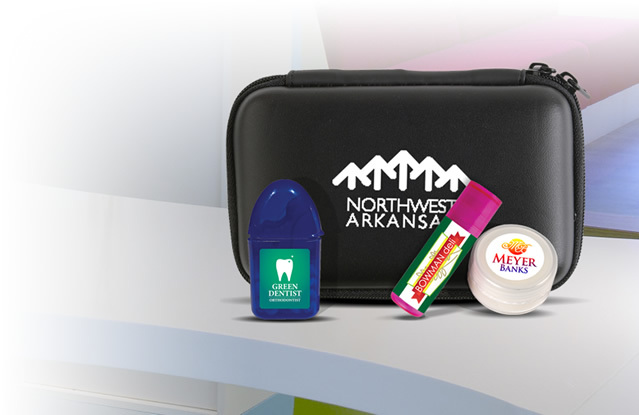 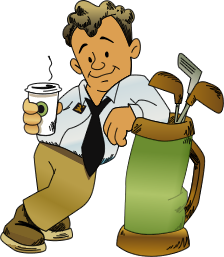 Contact us today so that your promotional campaign gets a heads-up from the beginning.